Evidently this lady (who, by the way, is on oxygen and has a dog at her feet) pulled out of a parking lot onto Shadeland Ave (very busy street) and was sitting in the left hand turn lane! 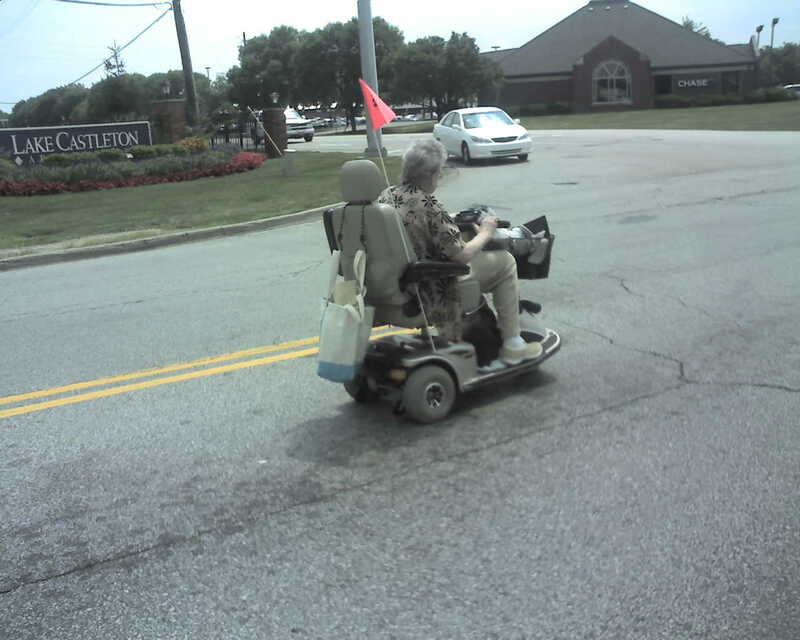 She got the arrow & proceeded to motor on down the road. I almost had to excuse myself from the meeting as I fought back the laughter. Thanks for the laugh guys! Previous Previous post: Most Pathetic Obituary Ever?